Next to the cards themselves, no tangible item is more deeply ensconced in the zeitgeist of poker than the poker chip. Nothing feels better in your hands, and if you can shuffle poker chips well, or even passably, you feel like a badass poker pro. 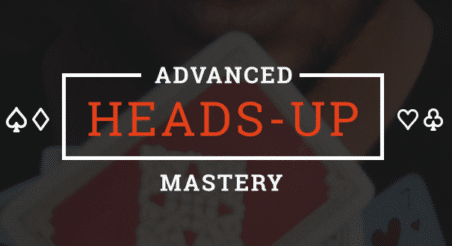 If you’re into poker, you probably want to know how to win more chips. But you might be also be wondering about where the poker chip originates, how they work in the culture of poker, and which ones you should buy. Or you might want to know which are the best poker chips, and what they’re worth outside of the issuing casino’s poker room. If so, read on. There are three kinds of common poker chip material: clay, plastic, and ceramic. Clay is traditional and durable, while plastic chips can be easily mass-produced. Ceramic poker chips are also easily made in bulk, and are rapidly becoming the chip of choice for live games at many casinos. Compression molding is used for clay chips, whereas for plastic chips injection molding is used. Ceramic chips are blended with polymers, and the same can be said for clay chips – they are made with other materials besides clay to make them harder to counterfeit, more durable, and less likely to dent or scratch. Poker chips are usually made in China or the United States. Like with many things, manufacturing is cheaper in China, but if you don’t want to deal with language barriers when it comes to important matters like customization, or if you just want to buy American, there is no shortage of American chip manufacturers. Atlantic Standard Molding (usually just called ASM) is considered by many to be the best American poker chip producer, but there’s no shortage of competition. The Bud Jones Co., based out of the poker mecca of Las Vegas, Nevada, is also a great choice of poker chip supplier. They say necessity is the mother of invention, and there certainly was a necessity for some sort of poker marker in the mid-to-late 19th century. Players would use all sorts of things, such as coins, gold nuggets, or even gold dust to track their bets, and some sort of standardization was sorely needed. To address this issue, casinos started making clay chips not entirely dissimilar to the ones we use today, but they quickly ran into the problem of forgeries. Over the years, casinos have gotten savvier about combating counterfeits, using such measures as specific weights, serial numbers, and even microchips, but in the early days of the lawless Mississippi riverboats, counterfeiting was rampant. In the United States at least, casino chips generally have no value outside of the casino that proffers them. The one exception might be if you take them from one casino to another that is owned by the same parent company. In this case, you might find that the casino will honor the chips bearing the name of their sister casino. On the other hand, many chips do have value as collectibles. As of this article, the bidding for a complete, used set of Paulson World Top Hat and Cane poker chips, including five hundred chips and a metal case, is at $1,200 on eBay. This is because that particular model is out of production now, and there weren’t that many made to begin with. Situations like these abound in the poker chip collection community – limited run chips, old or historical chips, particularly newsworthy or important chip sets – you can find them all in this burgeoning collectibles field. The role of casino chips in the culture of gambling cannot be understated. From the saying “a chip and a chair” (which signifies that you always have a shot, however slim, of winning a tournament so long as you are in it), to photo after photo of big tournament winners posing for posterity with their mountain of poker chips, these betting disks have left an indelible mark on the poker community. The allure of poker chips comes not just from these cultural markers, but also from their potential for colorful customization. Stamp collectors can’t get a legit stamp made to their preferences. Neither can numismatists – that’s coin collectors to you and me. But if you want to get poker chips embossed with your face in the middle, overlaying the flag of South Dakota and the name of your beloved mother, nothing is stopping you, and you can use those chips in home games as soon as you get them. Heck, start your own casino and make everyone use them – somebody has to build and run them, after all. Lastly, the poker chip appeals to our most basic senses – the heft feels good to the touch, the sounds of chips clacking around a tournament floor is downright pacifying, and the colorful nature of the different denominations appeal to our most basic instincts of sights, calling back to when we were babies and drawn to bright and interesting colors. The world of poker chips is broad, deep, and fascinating on all levels. Why not buy a set today?